Well, I guess they have a point. 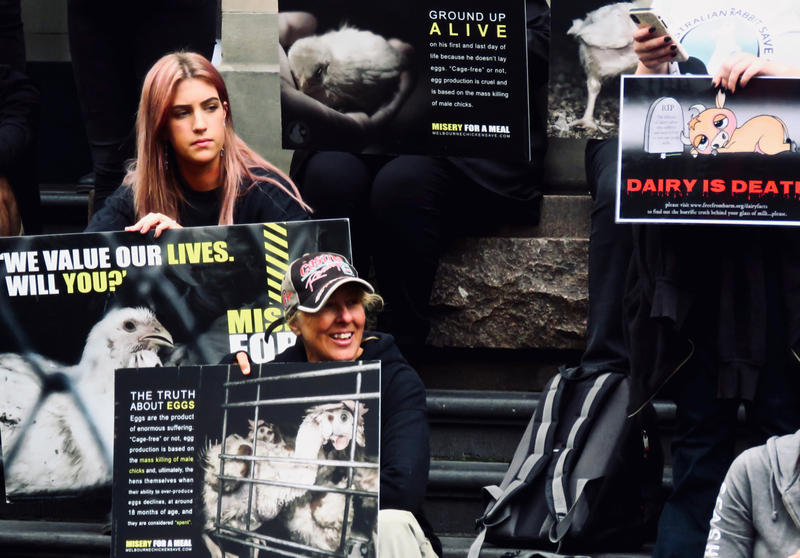 Thanks to Lee (depicted two days ago) being vegan I have basically been vegetarian this week but that seems not to cut it for these people. I try, though. Flinders Street station is the main central railway station of Melbourne and a common meeting place — you meet ‘under the clocks’, a line of timepieces out of shot above. 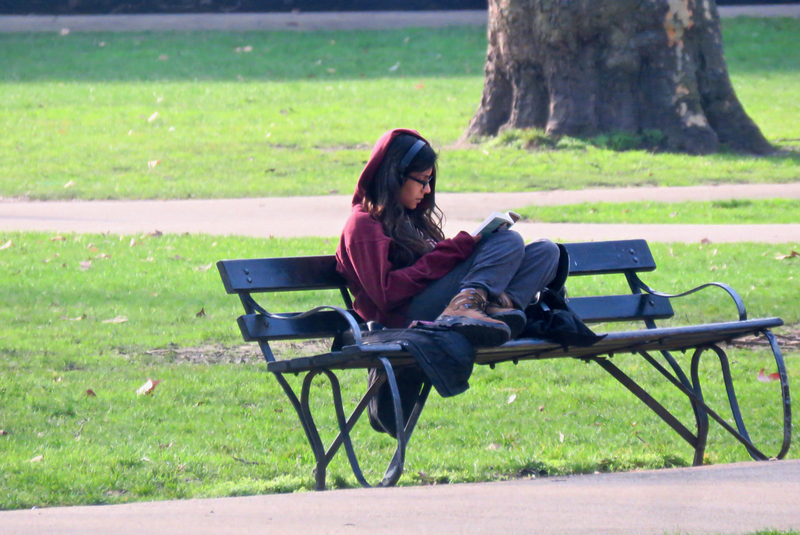 And this is why I was there, to meet my friend Mariam for a great lunch and a nice afternoon out. All these other people seemed to be doing the same thing. My last day in Vietnam — this time — but I certainly hope there will be further visits. I have had a very fine few days and want to return. 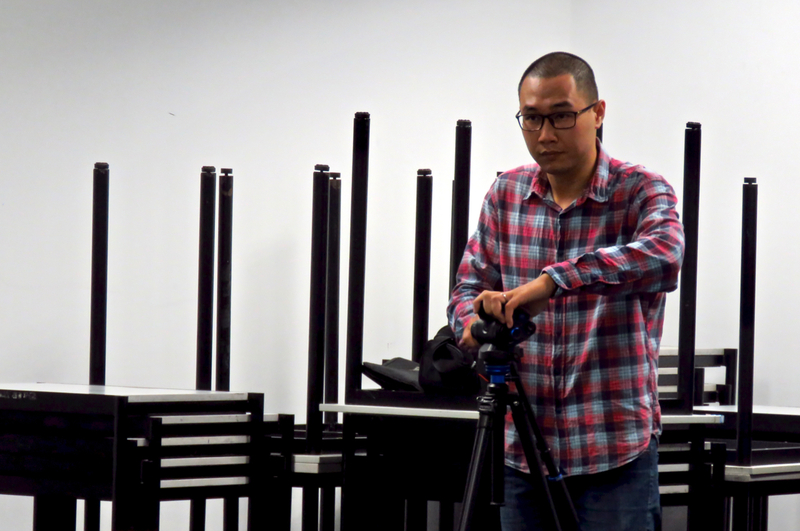 The day saw me do the one bit of work I had committed to while here, a talk at the RMIT Saigon campus, and this guy was setting up to film it; I like the random arrangement of table legs behind him, they give the shot some background texture. The M in RMIT stands for Melbourne — and that’s where I’m heading off to next. Today is the halfway point of this trip as a whole. This blog is both commentary, and record. So there is one part of me that regrets there is such a thing as ‘war tourism’ exists — that the dreadful conflict between the two parts of Vietnam, with the interventions of the USA, that lasted for some ten years from 1964 or so should now be something that people have come to feel is merely the background for a family photo. 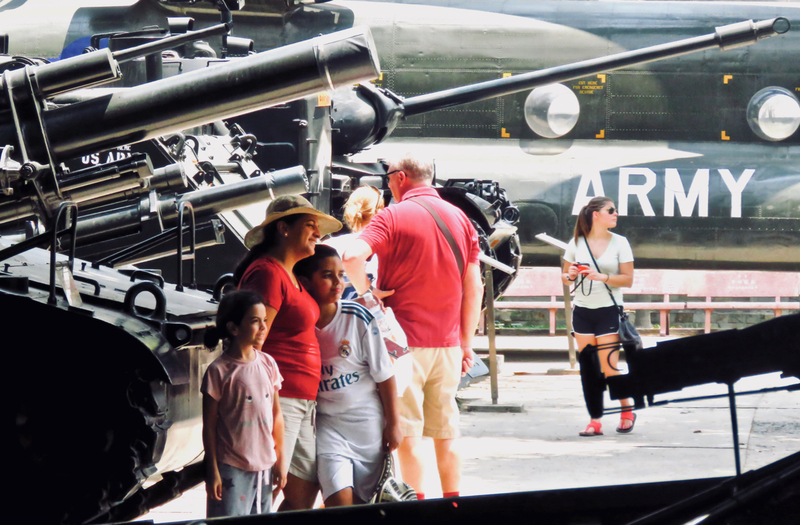 On the other hand — I went to the War Remnants museum in Saigon (or Ho Chi Minh CIty) today; I too was a war tourist. So should I feel guilty? The place was even-handed enough, there were some fascinating things to look at (most of all, the gallery of war correspondent photographs from both Vietnamese and European/American photographers), it passed most of the day. I learned, and that’s surely what matters. But could I stand and smile for the camera in front of a death machine? That’s something else. 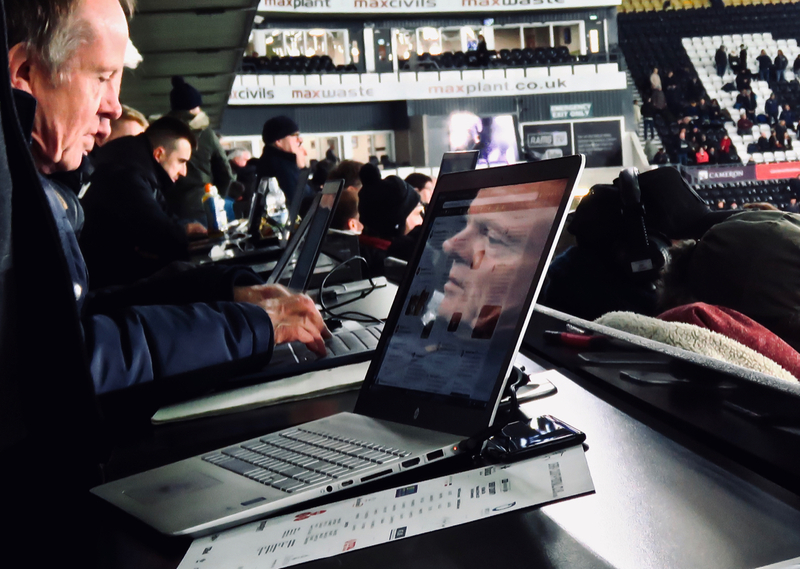 Work to do tonight in my occasional moonlighting role as a football journalist, seeing me in the press box at Pride Park, Derby, and afterwards, with work to do to make a crap game of football (Derby 0 Stoke 0) sound interesting. As did these other guys, many of whom exuded a sense of ennui about it all. Does it matter that the principal subject of this photo is not reflected in the screen of his own laptop? If so, well, that’s just the way it worked out. A rather precarious place to be positioned on a breezy day. But they did get to see the mighty Brighouse Town march to a 3-0 win that keeps them second in the table. And, I won the Golden Goal sweepstake, £30 return on a £1 ticket! Result! Up and about again today, though not very far nor very energetically. This is the kind of vibe I am trying to affect at the moment. When graduation ceremonies have appeared on here in the past they have either been those at Manchester or a couple in Moscow, back a few years ago. But this one, today, is at the University of Leeds — and I was not present through professional duty but personal connection, seeing as it was Clare who was celebrating the award of her (second) MA in Psychotherapy and Counselling. 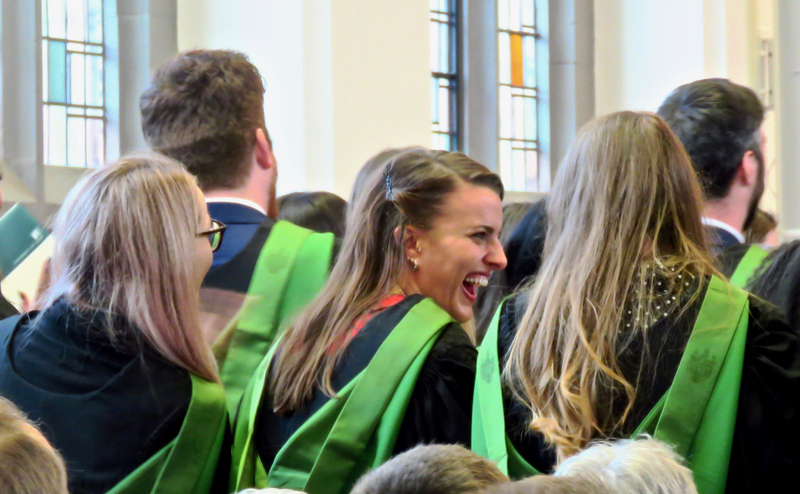 Well done to her and to everyone else there today — our C was at the front, far away from the camera, but these graduates nearer where I was sat capture the mood of the day just as well. 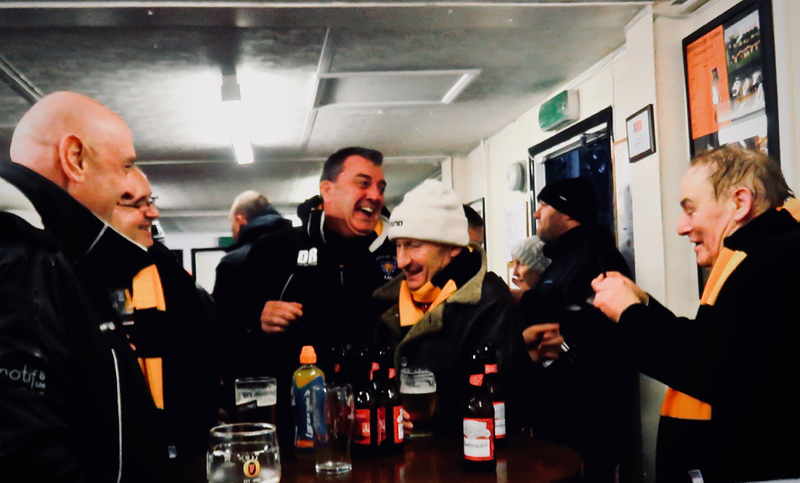 These guys — fans of Morpeth Town — look surprisingly cheerful considering they have just come a couple of hundred miles, from Northumberland to Yorkshire, to watch a football match that did not in the end take place. 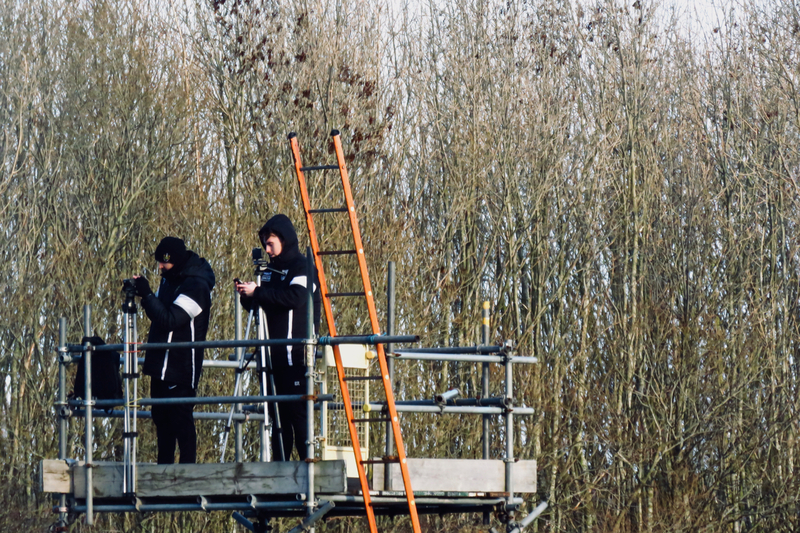 Literally as I arrived at Brighouse Town FC, 2.30pm, the match was called off due to a layer of sleet and hail that had sprayed itself over the pitch from about 2:00. Bummer. 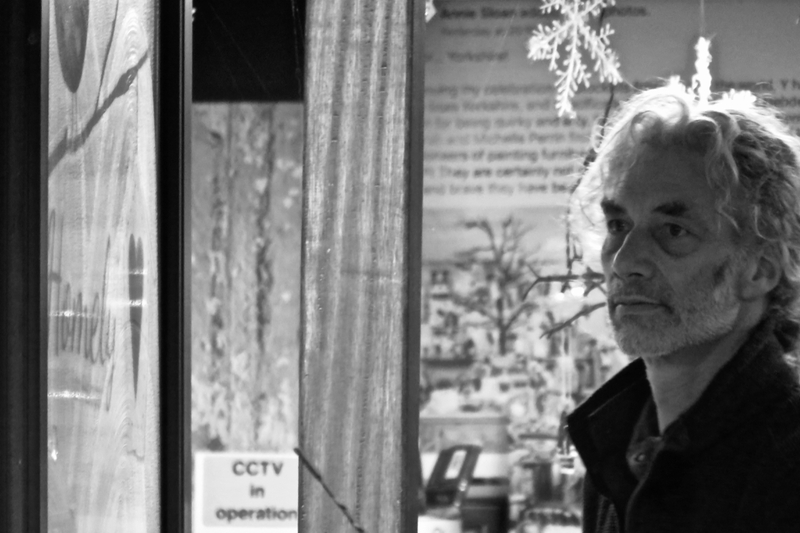 I was grumpy, anyway, and I’d only come on a bus from Hebden Bridge.